At this point we need to pause for a moment in order to see what the Sabbath meant for Israel. This will also help us to understand what is at stake in this dispute. God rested on the seventh day, as the creation account in Genesis tells us. Neusner rightly concludes that 'on that day we celebrate creation.' He then adds. 'Not working on the Sabbath stands for more than nitpicking ritual. It is a way of imitating God.' The Sabbath is therefore not just a negative matter of not engaging in outward activities, but a positive matter of 'resting,' which must also be expressed in a spatial dimension: 'So to keep the Sabbath, one remains at home. It is not enough merely not to work. One also has to rest. And resting means re-forming one day a week the circle of family and household, everyone at home and in place." The Sabbath is not just a matter of personal piety; it is the core of the social order. This day 'makes eternal Israel what it is, the people that, like God in creating the world, rest from creation on the Seventh Day." We could easily stop here to consider how salutary it would also be for our society today if families set aside one day a week to stay together and make their home the dwelling place and the fulfillment of communion in God's rest. - Pope Benedict XVI, from the Magnificat, September 2010 Issue. "...This is how you are to pray: Our Father in heaven, hallowed be your name, your kingdom come, your will be done, on earth as in heaven. Give us today our daily bread; and forgive us our debts, as we forgive our debtors..."
God already knows our needs and if we trust in Him when we pray, He will take care of us. Yet, there are so many in need of our prayers...not only in our own families, or our friends, but people we do not even know. There are so many people with prayer requests for either themselves or for others. How do we pray for all of them? I remember a priest once mentioning that when he receives a prayer request, he immediately prays a Hail Mary for that intention. He does it immediately, so that he will not forget to pray for that person. Many people offer their Rosary prayers, Holy Hour of Adoration, Divine Mercy Chaplet, Mass attendance and Holy Communion for others in need of prayers. However, are we being distracted from the sacrifice of the Holy Mass by concentrating so much on remembering all the prayer requests and petitions? During the Consecration, our prayers are most powerful. What should we be praying during that most solemn point of the Mass? Should we be focusing on remembering the prayer petitions or should we be instead in adoring our Lord? With so many important petitions to pray for such as the conversion of sinners, spiritual and physical healing, end of abortion, protection of traditional marriage, children, the elderly, the homeless, our military..., it seems like we are wasting a valuable moment when our prayers of supplication can really be useful. Or should we put all our faith in the Lord that He does in fact know our needs and those of other people and just generally ask Him to help those in need? The latter sounds very good and also in firmly relying on "Jesus, I trust in You". On the other hand, wasn't it Mother Angelica who once said you have to be very specific when we pray? Mother Angelica ended up in Alabama because of another miracle, as she tells the story. In 1946, at age 23, she was paralyzed in an accident with a scrubbing machine while cleaning the floors of a Poor Clare convent in Canton, where she was then living. Lying in a hospital bed, she prayed to God and promised that if she ever walked again, she would build Him a monastery in the South. (The choice of region seemed purely arbitrary: "I have no idea why I said that," she says.) Soon she was walking, but not without the aid of crutches and a back brace. She would be dependent on both for the next half-century and also in constant pain. She jokes that she quickly learned to be more specific in her prayers. "I asked to walk," she jokes, "I didn't ask to walk comfortably." Mother Angelica also is the one who by her own admission has been known to pray distractedly for people who request prayers. She once told the story of a woman who called the Monastery and got Mother on the line. However, Mother was distracted with something that needed her immediate attention. The woman requested prayers for her son...who if memory serves right, had been in a terrible accident, or something just as serious. Mother absentmindedly told the woman that she would pray for her intention and hurried to hang up. As soon as she got off the phone with the woman, Mother prayed a quick prayer in a seemingly disrespectful yet amusing way that only Mother can do, for the woman's son. One day, she is surprised to receive a check from the woman thanking Mother profusely, for her prayers because her prayers had been answered. According to Mother Angelica, even when we pray distractedly like that, God answers our prayers. Prayer is really personal. There is no right or wrong way, as long as we do not pray like the hyprocites. "When you pray, do not be like the hypocrites, who love to stand and pray in the synagogues and on street corners so that others may see them. Amen, I say to you, they have received their reward. But when you pray, go to your inner room, close the door, and pray to your Father in secret. And your Father who sees in secret will repay you. In praying, do not babble like the pagans, who think that they will be heard because of their many words. Do not be like them. Your Father knows what you need before you ask him. Our prayers must come from the heart. We must be careful that our prayers, especially our daily prayers and devotions, are not said by rote. My favorite way of praying is sitting in front of the Blessed Sacrament and listening to our Lord speak to me. I love to "...gaze on the loveliness of the Lord..." (Psalm 27). I like to examine my conscience in front of Him. I love to tell Him how my day went and where I could have improved. But I feel an obligation to praying for those in need and also to fulfill my daily prayer obligations. It is also very important that we acknowledge the graces and blessings that come from God. Most of us do not like when we give a gift to someone and they do not acknowledge or appreciate our gift. So why should we be in that same way, ungrateful or God? Who we invoke for our intercessions is also important. Rarely, does a Catholic go directly to God for help. 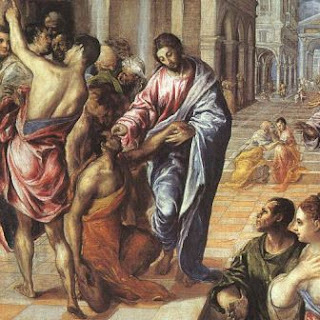 Most of the time, we seek the intercession of our friends, the saints for help. There is a patron saint to help us for just about any cause or occasion. In recent years, I have noticed that my prayers have not been answered. I regret to share this with you, but I do not think the patron saints I was calling out for help were really helping. 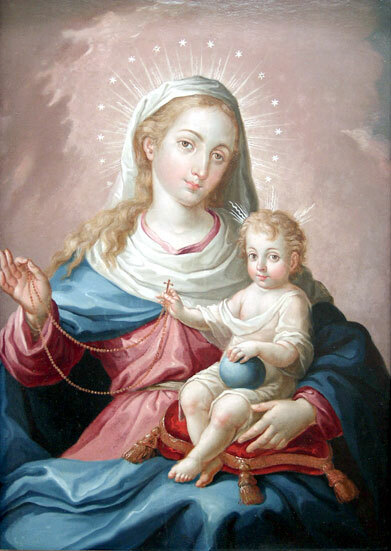 Since I know my mother and sister have a BIG devotion to Our Lady, and knowing full well that her son Jesus, cannot say "no" to her, I now bring all my petitions to our Blessed Mother and I ask her to intercede. She is our mother. She wants to help us. She really does love us and wants the best for us. Lastly, and because of its importance should have been mentioned above, we must pray for forgiveness. We need to do this often because not only of all the sins we commit daily that offend God, but also for all those who offend God without feeling of sorrow or regret. and indifferences by which He Himself is offended. A beloved catholic priest who's spent more than 50 years in Hawaii has died. Father Felix Vandebroek was found dead this morning at the Sacred Hearts Center in Kaneohe, after returning to Hawaii from a trip to Belgium where he's originally from. Vandebroek moved to Hawaii in 1956, and has served in parishes on Oahu, Maui, Kauai, Molokai and the Big Island. Most recently, he was the pastor at St. Francis of Assisi Church in Kalaupapa on Molokai. He served that role for the past three years, working with people with hansen’s disease, just as fellow Belgian Saint Damien had done before. Eternal rest grant unto him O Lord and may your perpetual light shine upon him. May he rest in peace. Amen. 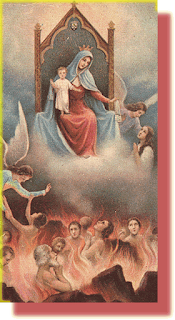 1) Put yourself in the presence of God and imagine that God and his Blessed Mother are watching you. 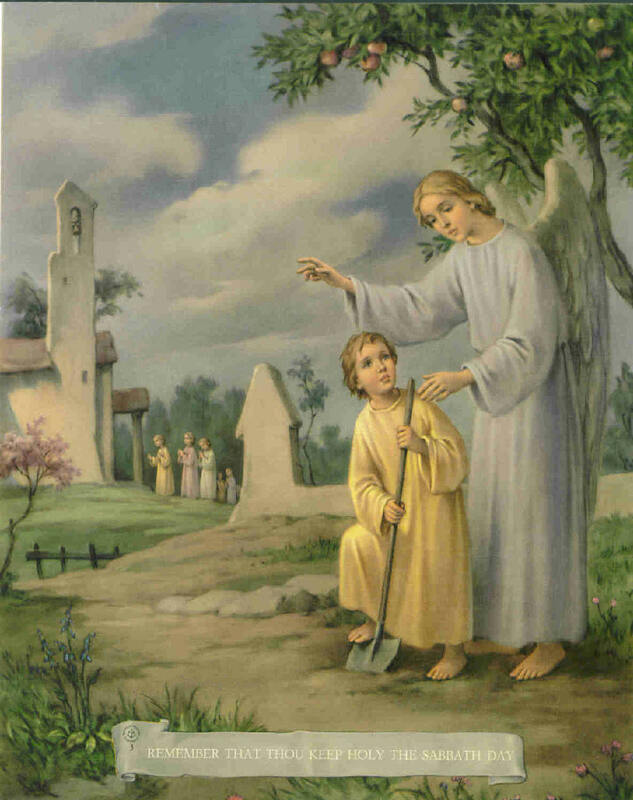 2) Imagine that your guardian angel is at your right hand, taking your Hail Marys, if they are well said, and using them like roses to make crowns for Jesus and Mary. 3) Remember that at your left hand is the devil, ready to pounce on every Hail Mary that comes his way and to write it down in his book of death, if they are not said with attention, devotion, and reverence. 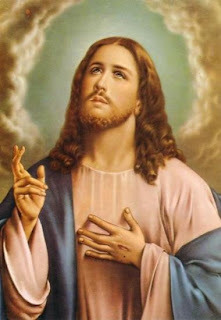 4) Do not fail to offer up each decade in honor of one of the mysteries, and try to form a picture in your mind of Jesus and Mary in connection with that mystery. I will make it a point to live today, Friday, as a memorial of the death of Our Lord by offering a small sacrifice as a penance for my sins, and I will live this coming Sunday with real joy as the celebration of his resurrection. Shared by my Twitter friend @janvier2007. "Dearly beloved, it is fitting that we should follow Him in our hearts to where we believe He has ascended in His body. Let us flee earthly desires. Let nothing here below delight us who have a Father in heaven. We must consider very carefully that He who was mild at His ascent will be terrible at His return. He will demand from us with great strictness whatever He has commanded of us with gentleness. Le no one take lightly the time of repentance granted us, let no one neglect to have concern for himself while he can do so, because our Redeemer will come with great strictness in proportion to the great patience e has shown us before the judgment. Reflect on these things, my friends, constantly turn them over in your minds. The disturbance of things may still be driving your hearts to and fro, but fix the anchor of your hope now in your eternal home. Establish your mind's attention in the true light. We have heard that the Lord has ascended into Heaven. Let our belief be the subject of our meditation. If the weakness of our body still holds us here, let us follow hi by the footsteps of our love. He who gave us our desire will not fail us, Jesus Christ our Lord, who lives and reigns with the Father in the unity of the Holy Spirit God for ever and ever. Amen. Have mercy, O gentle Jesus! 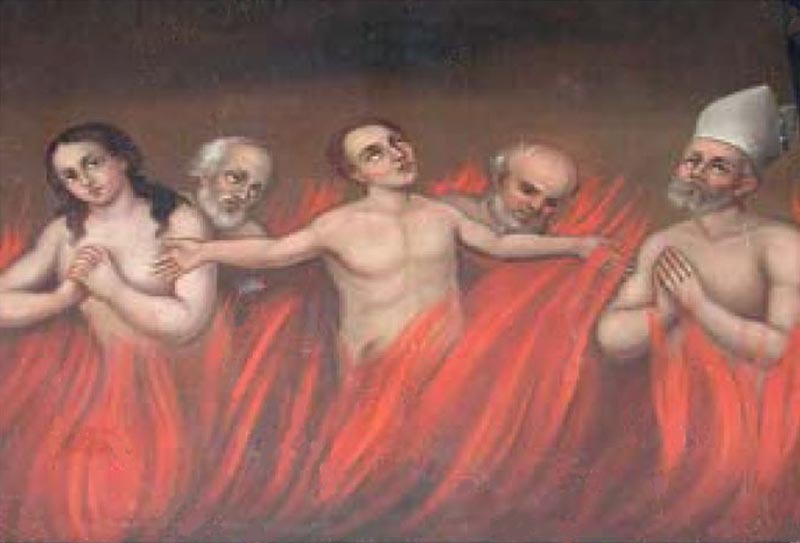 on the souls detained in Purgatory. Thou Who for their ransom didst take upon Thyself our human nature and suffer the most cruel death, pity their sighs and the tears shed when they raise their longing eyes toward Thee; and by virtue of Thy Passion, alleviate the penalty due to their sins. May Thy Blood, O tender Jesus, Thy Precious Blood, descend into Purgatory to solace and refresh those who there languish in captivity. Reach forth Thy hand to them, and lead them into the realms of refreshment, light, and peace. Amen. 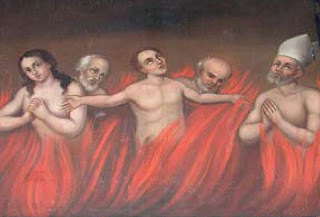 set free the Poor Souls in Purgatory. O Most Merciful Jesus, Lover of Souls: I pray Thee, by the Agony of Thy most Sacred Heart, and by the sorrows of Thy Immaculate Mother, cleanse in Thy Blood the sinners of the whole world who are now in their agony and are to die this day. Amen. 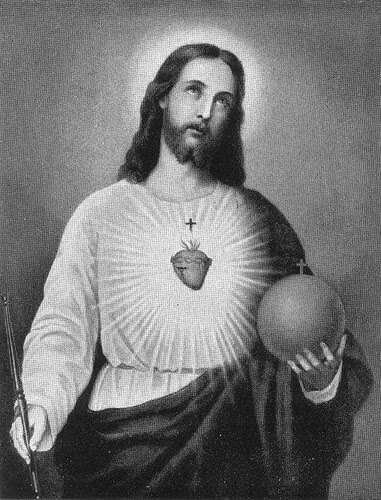 Heart of Jesus Agonizing, have mercy on the dying. Jesus, Mary, and Joseph, we love Thee, save souls. Every Mass will go with you to Judgement and will plead for pardon for you. By every Mass you can diminish the temporal punishment due to your sins, more or less, according to your fervour. Through the Holy Sacrifice, Our Lord Jesus Christ supplies for many of your negligences an omissions. He forgives you all the venial sins which you are determined to avoid. He forgives you all your unknown sins which you never confessed. The power of Satan over you is diminished. Through the Holy Mass you are blessed in your temporal goods and affairs. 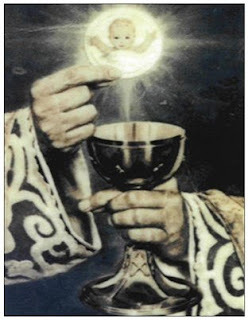 When you hear Holy Mass devoutly, offering it to Almighty God in honor of any particular Saint or Angel, thanking God for the favors bestowed on him, etc., you afford that Saint or Angel a new degree of honor, joy and happiness, and draw his special love and protection on yourself. Every time you assist at Holy Mass, besides other intentions, you should offer it in honor of the Saint of the day. "The Mass is the most perfect form of prayer!" For each Mass we hear with devotion, Our Lord sends a saint to comfort us at death. Once, St. Teresa was overwhelmed with God's Goodness and asked Our Lord "How can I thank you?" Our Lord replied, "ATTEND ONE MASS." The Blessed Virgin Mary once told Her faithful servant Alain: "My Son so loves those who assist at the Holy Sacrifice of the Mass that, if it were necessary He would die for them as many times as they've heard Masses." "The Holy Mass would be of greater profit if people had it offered in their lifetime, rather than having it celebrated for the relief of their souls after death." 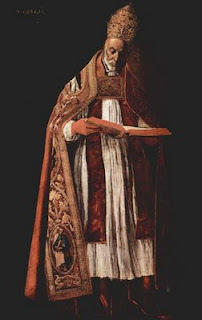 A great doctor of the Church, St. Anselm, declares that a single Mass offered for oneself during life may be worth more than a thousand celebrated for the same intention after death. St. Leonard of Port Maurice supports this statement by saying that one Mass before death may be more profitable than many after it. "When we receive Holy Communion, we experience something extraordinary - a joy, a fragrance, a well being that thrills the whole body and causes it to exalt." "The celebration of Holy Mass is as valuable as the death of Jesus on the cross." "If we really understood the Mass, we would die of joy." "There is nothing so great as the Eucharist. If God had something more precious, He would have given it to us." 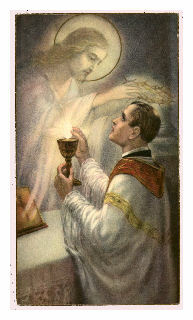 "It would be easier for the world to survive without the sun than to do without Holy Mass. " "When we have been to Holy Communion, the balm of love envelops the soul as the flower envelops the bee." "The heavens open and multitudes of angels come to assist in the Holy Sacrifice of the Mass. " "The angels surround and help th priest when he is celebrating Mass." "When Mass is being celebrated, the sanctuary is filled with countless angels who adore the divine victim immolated on the altar." He gave His body to be our bread. From the moment when the Holy Spirit came upon Mary and she conceived the Son of God, His body was given to us. Given in the first instance, just as the seed of bread is given by being buried in the earth, the seed of Christ, the Bread of Life, was hidden in the darkness, buried in the dust of human nature.... From the moment of His conception Christ was earning the bread of life for us, in His acceptance of suffering in infancy, in His own necessity, His hunger and thirst, His need for sleep. As a small child learning slowly and painstakingly to use His hands, refusing to turn stones to bread, that the Living Bread might be sifted and threshed for us. In long journeys on foot and long days, meeting the incessant demands of the crowds, in the agony before His passion when the sweat of His face ran down to the ground in drops of blood, and in the consummation of His labours on the Cross. Because Christ has given Himself to us, our lives have the redemptive quality of His, and our relationships with one another are a communion in Him. They are a meeting and a one-ing of Christ with Christ, the never-ceasing generation and increase of Eternal Love on Earth, the fulfillment of Christ's words: 'I came that they should have life and have it more abundantly'. We give our Christ-life, offer our Christ to God, and give Christ to one another by the means that Christ used on Earth: by natural means; we give Him with our hands and eyes and ears, with the words we speak, the journeys we make, by our human friendships and human loves. C. Houselander, "The Passion of the Infant Christ'. This article literally brought tears to my eyes. Be friendly to to every priest you come in contact with. Smile, and chat with them. Compliment their homily if you liked it. Keep quiet about it, if you did not. Ask them to your home for lunch or dinner with your family. Do not judge or criticize them. 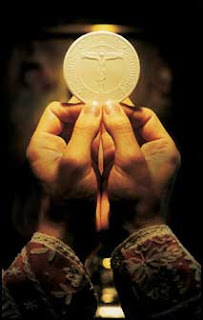 Recently at Mass, during the elevation of the Blessed Sacrament, I pray for that particular priest's intentions. 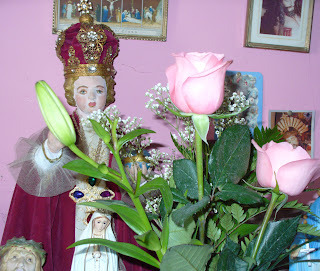 Picture of my parent's Infant of Prague Statue. However, for the Christian, this sense of dependence takes on the aspect of being sheltered in God. The thought of his total impotence in relation to God does not arouse depression or anguish in him; he does not attempt to keep up an illusion of sovereignty and to arrange his life as though he were his own master. Rather, he flings himself into the arms of the Almighty; he deliberately assents to his status of dependence, and prays with the holy Church, 'Into Thy hands, O Lord, I commend my spirit.' Humility, then, contains not merely the knowledge of our dependence on God but the active conformity of our will to it; our blissful surrender to God. The humble one feels sheltered in God, indeed, as a possession of God. 'We are his people and the sheep of his pasture.'" Excerpt from Humility - Wellspring of Virtue by Dietrich von Hildebrand. Available through Sophia Press. Just in case you missed the EWTN program on Sunday, you can watch it by clicking the link below. You will learn about Fatima and the World Apostolate of Fatima. This is the only pontifical organization with regard to Fatima. Here in Hawaii, we were given authorization by Bishop Silva. 1. To offer up everyday the sacrifices demanded by your daily duty. 2. 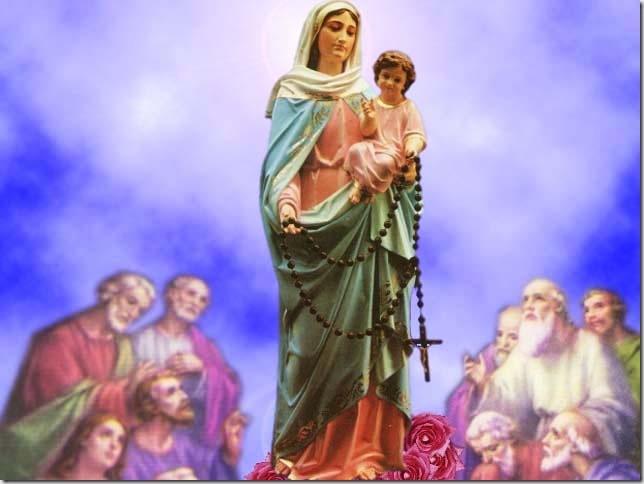 To pray at least five decades of the Rosary daily while meditating on the Mysteries. 3. To wear the Scapular of Mount Carmel as profession of this promise and as an act of consecration to you. 4. 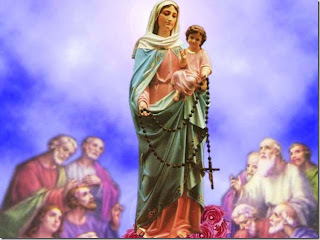 To accomplish the devotion of the Five First Saturdays of the month, including the fifteen minute meditation on the Mysteries of the Rosary. For those of you who live in Hawaii: If you are not a member and would like to become a member of the World Apostolate of Fatima: Hawaii Division, please contact me. You can join yourself online at the WAF, however, we need to keep record of all our members. Be sure to check the WAF Hawaii Division Blog for updates. - How Catholic Should You Be Online? - The Magisterium: A Precious Gift H/T to Sue Cifelli for this one. 1. In every prayer you say, every Mass you hear, every Communion you receive, every good work you perform have the express intention of imploring God to grant you a holy and happy death and no Purgatory. Surely God will hear a prayer said with such confidence and perseverance. 2. Always wish to do God’s will. It is in every sense the best for you. When you do or seek anything that is not God’s will, you are sure to suffer. Say, therefore, fervently each time you recite the Our Father: Thy will be done. 3. Accept all the sufferings, sorrows, pains and disappointments of life, be they great or small, ill health, loss of goods, the death of your dear ones, heat or cold, rain or sunshine as coming from God. Bear them calmly and patiently for love of Him and in penance for your sins. Of course, one may use all his efforts to ward off trouble and pain, but when one cannot avoid it let him bear it patiently. Impatience and revolt make sufferings vastly greater and more difficult to bear. 4. The greatest act in Christ’s life was His Passion. As He had a Passion so each one of us has a Passion. Our Passion consists in the sufferings and labors of every day. Therefore, let us do our work, accept its disappointments and hardships and bear our pains in union with the Passion of Christ. We gain more merit by a little pain than by years of pleasure. 5. Forgive all injuries and offences for in proportion, as we forgive others, God forgives us. Go to confession. This sacrament does more than “just” rid us of our sins; it gives us a tremendous increase in sanctifying grace. It wins for us a higher place in Heaven, with increased union with God. Each time we go to confession, we are preserved from many dangers and misfortunes which might otherwise have befallen us. A devout confession helps us to hear the inspirations of the Holy Spirit, and to hear and follow the advice of our guardian angels. Archbishop Edwin F. O’Brien, Archbishop of Baltimore, presided over the closing session in the Archdiocesan Phase of the Cause for Sainthood of Father Patrick Peyton, CSC during the 12:10 p.m. Mass at the Baltimore Basilica on Tuesday, July 20. Father Peyton is best known as the “Rosary Priest,” who encouraged families through his radio and television programs in the 1940s and 50s to pray together daily, especially the rosary. The investigation into the Cause for Sainthood of Father Peyton opened in June of 2001. It was moved by the Holy See from the Diocese of Fall River, MA to the Archdiocese of Baltimore in 2008. The Archbishop thanked members of the ecclesiastical tribunal for their work in assisting with the investigation into the life and ministry of Father Peyton, and formally ordered the Archdiocesan investigation into the cause closed. Copies of the documents, which were presented during the Mass, were then sent to the Congregation for the Causes of Saints in Rome, where a determination will be made as to whether the Holy See will initiate its own investigation, the next step in Father Peyton’s path toward sainthood. The Catholic Church’s process leading to canonization involves three major steps. First is the declaration of a person’s heroic virtues, after which the church gives him/her the title Venerable. Second is beatification, after which he or she is called Blessed. The third step is canonization, or declaration of sainthood. At various steps in the canonization process, evidence of alleged miracles is presented to Church authorities. In general, two miracles need to be accepted by the church as having occurred through the intercession of the prospective saint. The Archdiocese of Baltimore has previously been involved in the Causes of Canonization of the Servants of God, Sr. Faustina Kowalska, Mother Mary Elizabeth Lange, and Father Francis Xavier Seelos. The other night I had a very vivid dream. I dreamed Mass was being celebrated at the Cathedral and the faithful were moving up the aisle to receive Holy Communion. There was a visiting priest celebrating the Mass and an Extraordinary Minister of Holy Communion present there also. Yet, the Ciborium containing the consecrated Hosts, was placed in the middle of the altar so that the people could reach in and get their own Communion. 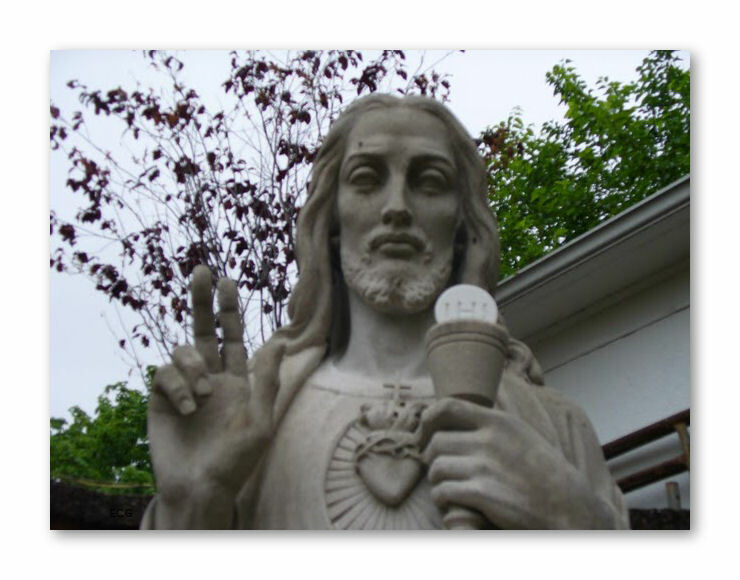 It was a sort of self-serve Holy Communion. 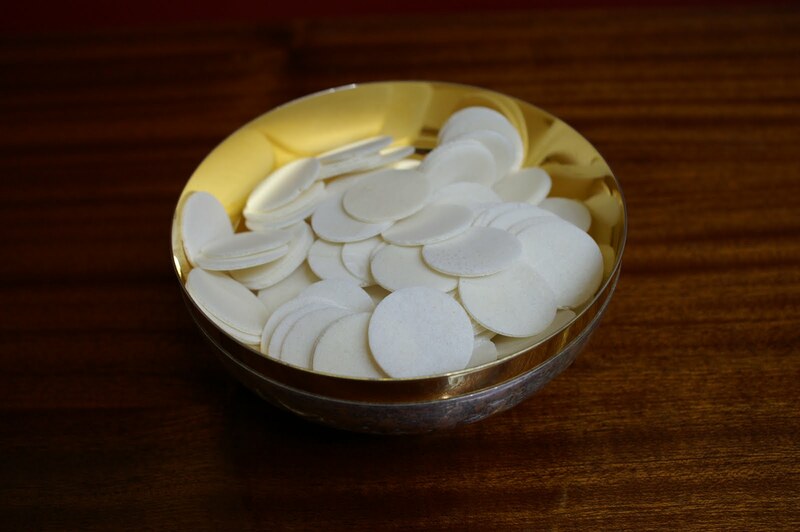 I was aghast especially when I realized there was a priest and an EMHC there who could give Communion to everyone. Then it dawned on me...I was also an EMHC! I then took the Ciborium and gave out Holy Communion to the rest of the faithful. Then I went to the tabernacle to place the Ciborium in it. I found that there was now a combination lock on it and I did not know the combination. Frantically, I searched for the pastor, who in reality is the pastor of a neighboring church. I was encourage to see that he was upset by what had just occurred in the church. Interestingly, I recently resigned from serving as an EMHC at our parish church. One reason for my doing so is that I feel that we have sufficient EMHCs (or maybe too many) at the Mass that my family and I attend. Yesterday, I was asked to substitute for one of the EMHCs who did not make it to that Mass. Strange how that that happened after that particular dream and after I had asked not to be assigned as EMHC in the future. Is God trying to tell me something?